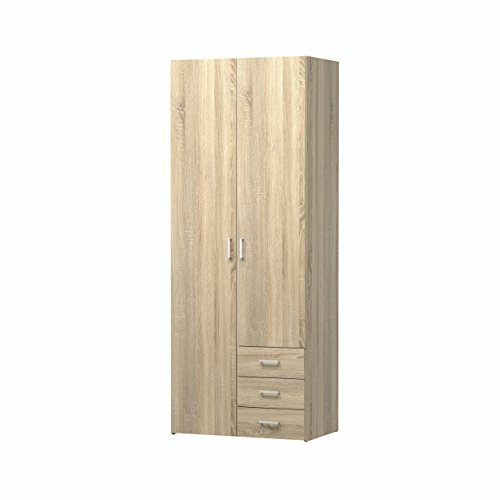 Give yourself the space you need with the space 3 drawer, 2 door wardrobe. The roomy wardrobe compartment has a hanging rod for blazers, pants, blouses and dress shirts, along with four fixed shelves for folded sweaters, jeans and more. The lower drawers are perfect for storing smaller items like socks and accessories. The space 3 drawer, 2 drawer wardrobe has simple, classic lines that work with any decorating style, and a durable, water-repellent surface that holds up to everyday use.